SM Observer Article: Crumbs and Whiskers Cat Café Opens in Los Angeles! 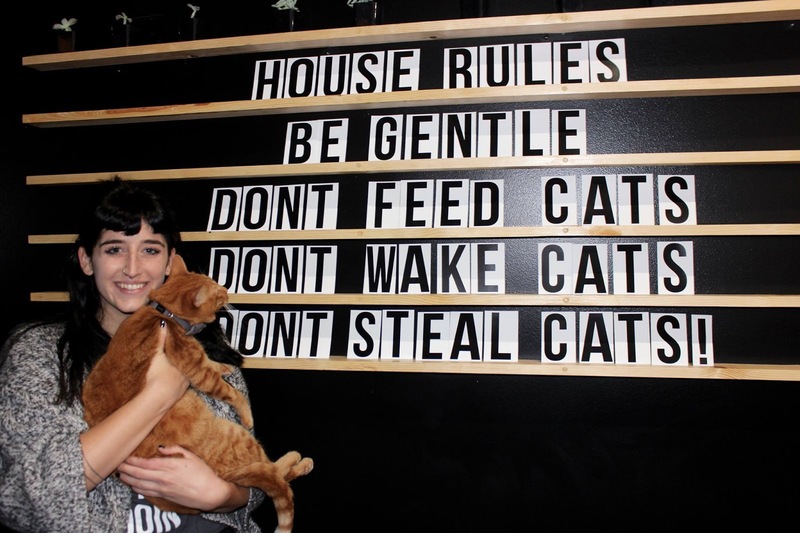 Our Editor in Chief, Kat Thomas recently wrote an article on Los Angeles' first cat cafe Crumbs and Whiskers! Check it our below! Crumbs & Whiskers drastically improves the lives of shelter cats by placing them in an environment where they have space to run around, people to interact with, and places to hide all day instead of having to live inside cages. A massive line of humans stand in front of a storefront on Melrose Blvd gawking and smiling like they do at the Christmas displays in the film "Miracle on 34th," but instead of a magical man in a red suit on other side the other side houses 20 magical creatures of the four legged furry kind: CATS!!! LA's first cat café has come to town in the form of the second location of the DC based Crumbs and Whiskers. But this isn't BYOC (Bring Your Own Cat) because Crumbs and Whiskers has got your covered on the (adoptable) cat part, trust me! A cat café is a theme café whose main attraction is cats that can be watched and played with. 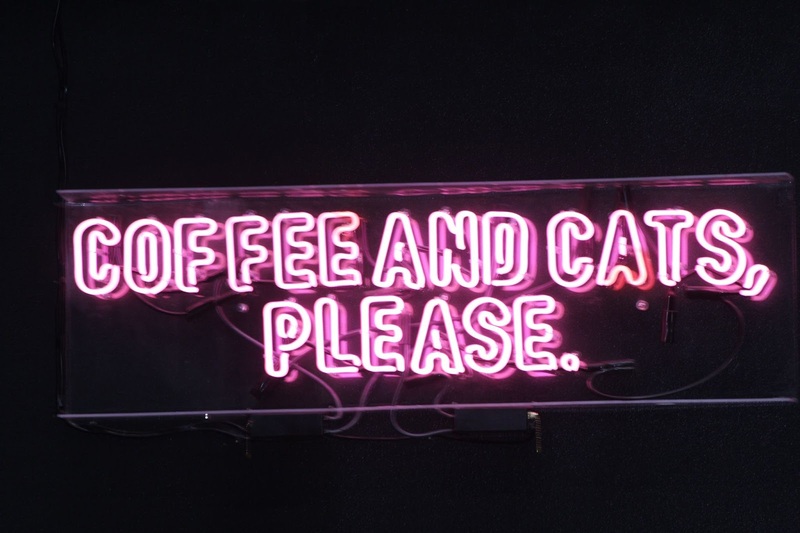 Usually patrons pay a catmosphere cover fee, generally hourly, and thus cat cafes can be seen as a form of supervised indoor pet rental. Crumbs and Whiskers houses 20 cats in house ranging in age from 4 months to 13 years. Human guests are limited to 15 people so the four legged friends don't get stressed. This leads to time at Crumbs and Whiskers being constantly sold out (on the weekend I attended they were booked solid). The world's first cat cafe, 'Cat Flower Garden' opened its doors in Taipei, Taiwan in 1998. The Taiwanese cat café eventually became a tourist destination, attracting tourists from Japan as well as all over the glove. These Japanese tourists then took the concept back to their home nation where the concept blossomed. The first Japanese cat café was named 'Neko no Jikan' (literally Cats Time) opened in Osaka in 2004. 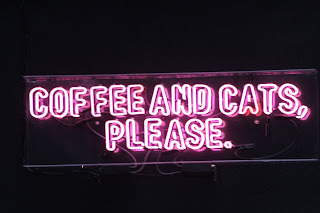 Due to the Japan's land size and population, many residents live in small apartments or condominiums which do not allow pets, making a cat café a very popular destination for young workers looking for the companionship and comfort offered. Crumbs and Whiskers "Founding Mom," Kancha, is a woman who was inspired by a cat cafe in Thailand. 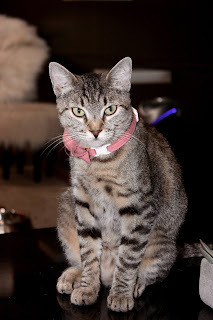 While traveling in a city called Chiang Mai, Kanchan stumbled upon a cat cafe. After she came back home, she couldn't stop thinking about how it could be used as a force for good for shelter cats. And the rest is history with the company opening its Los Angeles location two months ago!.